Jan-Aage Torp is preparing himself for his ministry trip to Serbia on Friday. Today, he met with Serbia´s Ambassador to Norway, Dr. Milan Simurdic. The one hour long meeting at the Serbian Embassy was very amicable, says Jan-Aage Torp. - Dr Milan Simurdic gave me a lot of insights and knowledge about the situation in Serbia, both religiously, culturally and politically. 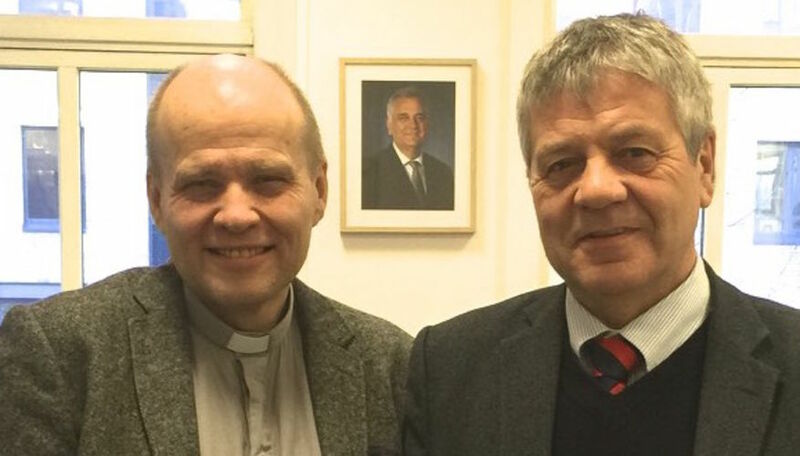 He has good insight into the Evangelical-Pentecostal movement in the former Yugoslavia, especially through his many years as Serbia´s Ambassador to Croatia. Milan Simurdic talked about the possibilities for cooperation with various organizations and movements in Serbia. and even the neighboring nations of Croatia and Bosnia y Hercegovina. - His insight will prove invaluable, says Jan-Aage.